Description: Mature alligators range from 6-16.5 ft (1.8-5 m) and adults appear blackish brown or dark gray. Juveniles have bold yellow crossbars on the back and some tail markings. Alligators are sexually dimorphic with males getting larger than females. Feeding/Diet: Alligators have a varied diet, feeding on turtles, snakes, crayfish, birds, mammals, and frogs. Habitat/Range: Alligators range along the coastal regions of southeast North Carolina where they are usually seen in large streams, canals, ponds, lakes, marshes, swamps, and tidal estuaries. 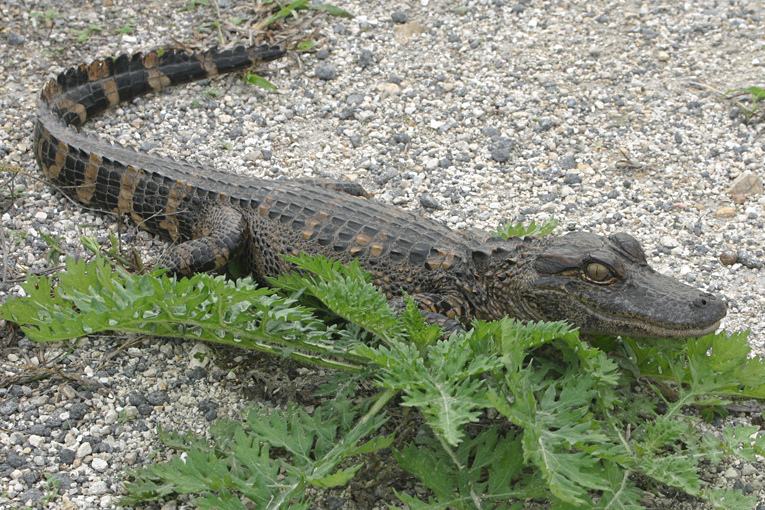 Reproduction: Alligators breed from mid-May to late September. 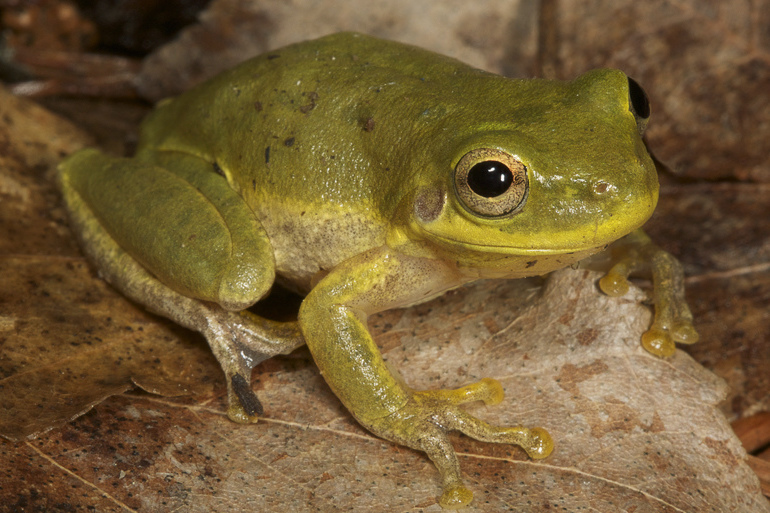 Females lay about 30 eggs in a large mound of vegetation which is usually built in the shade near a source of water. The nest provides the eggs with protection from predators and the decaying organic material serves to heat the eggs. Females guard the nest and care for the young up to three years after hatching, sometimes even longer. 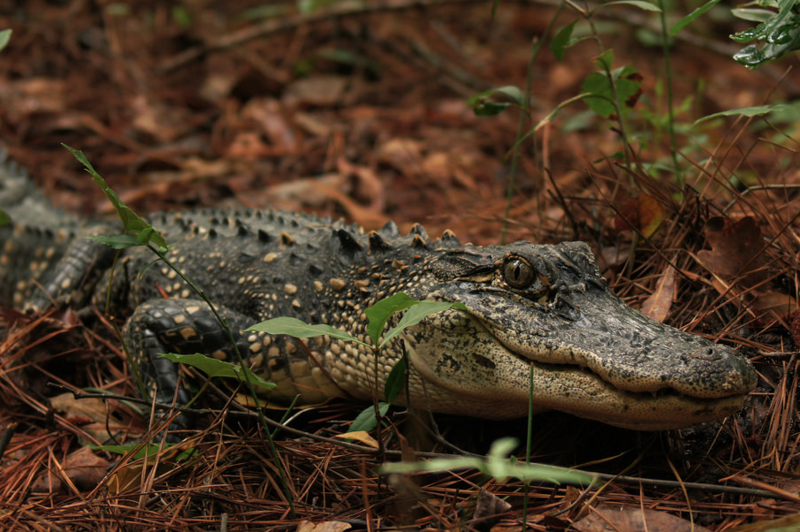 Miscellaneous: Alligators are diurnal and nocturnal, meaning they are active both day and night. They live in large holes called dens which provide protection, but they also are commonly seen basking during the spring and summer. 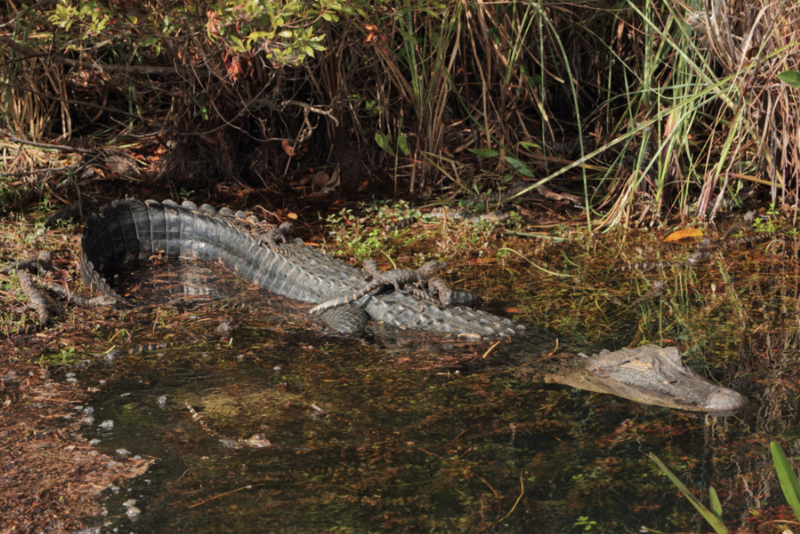 Alligators may be spotted by watching for eyes, a head, or a snout protruding from the water surface. 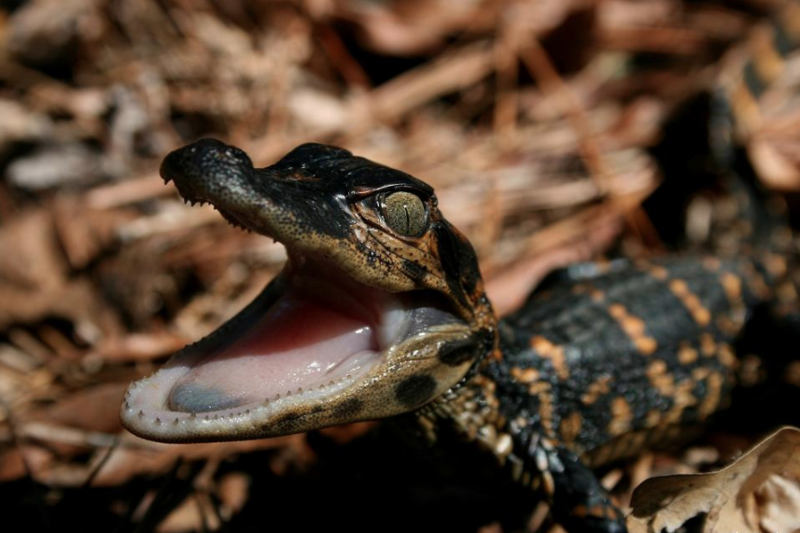 A flashlight may also be used at night to identify alligators by their eyes which appear red-orange in such light. Alligators are federally protected due to population declines which were taking place until the 1980s because of poaching for hides and habitat destruction. Populations have since begun recovering. The shaded region represents the range of the american alligator in North Carolina.